South Bay Marketplace, southbaymarketplace.com is one of our latest partnership projects. Our partners wanted to create a localized website focused on the South Bay’s local and community businesses. 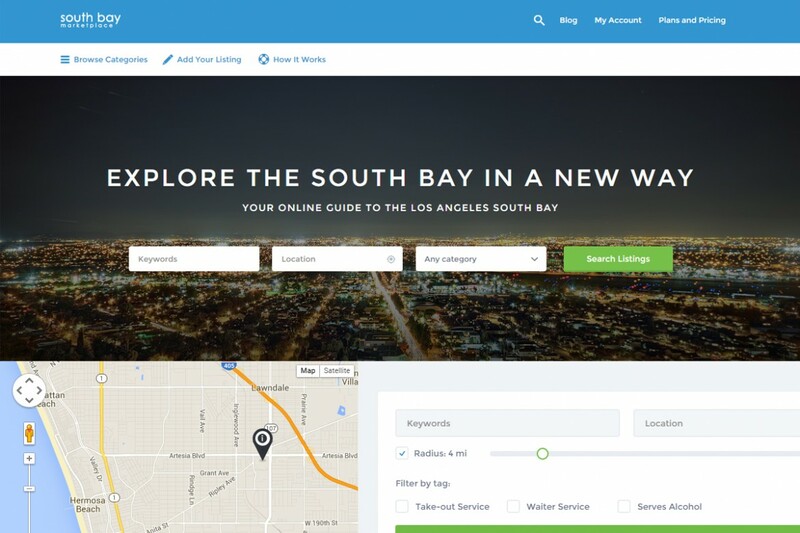 With many successful reviews sites popping up everywhere, our partners wanted a website that was fun yet informative when making decisions on things like where to shop, dine and entertain in the South Bay. South Bay Marketplace is currently in it’s final stages of development and data population. When complete in the first quarter of 2016, South Bay Marketplace will feature thousands of restaurants, local service agencies and professional services all located and operated in the South Bay, Los Angeles, CA area. Business owners will be able to claim their business listings online and edit their company profile, add photos and more. Registered business owners will also be able to interact with their customers and reviewers online. “Studies show that over 88% of shoppers utilize online reviews prior to making a purchasing decision.” say Emart Media managing partner, Dave Schwartzenberger. “Bringing the review site platform to a more focused area enhances a localized trust you just can’t get with other, larger review sites.” “Many of our users and reviewers know each other.” he added.